PennsylvAsia: "Rotating to the Top: How Career Tracks Matter in the Chinese Communist Regime," October 2 at Pitt. "Rotating to the Top: How Career Tracks Matter in the Chinese Communist Regime," October 2 at Pitt. The University of Pittsburgh's Department of Political Science will host Yiqing Xu of the University of California San Diego and his talk "Rotating to the Top: How Career Tracks Matter in the Chinese Communist Regime" on October 2. This paper takes a novel perspective on the selection of leaders by depicting the importance of career tracks. Using full and alternate Central Committee members of the Chinese Communist Party from 1982 to 2017, we measure career tracks - both the horizontal and vertical movement of individuals - using machines learning techniques, and link them with political selection. Our main finding is that career tracks play an important role in the Chinese political system despite the in influence of patronage networks. 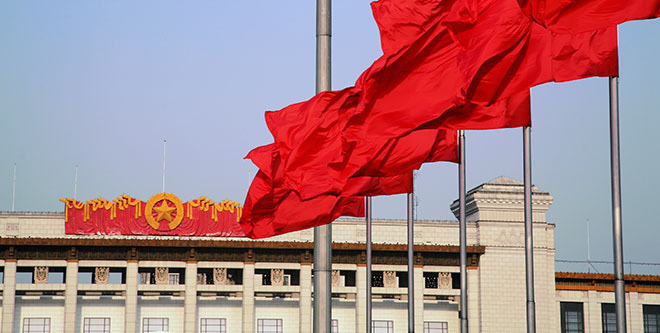 In addition, when comparing the roles of career tracks and personal ties over time, we find suggestive evidence that Chinese politics becomes more paternalistic in the 19th Party Congress. The talk runs from 12:00 to 1:30 pm in 4801 Posvar Hall (map) and is free and open to the public.